Fudgey – described as Tasmanian fudge with funk, this gourmet range of decadent fudge is made at Eaglehawk Neck. Yummo. For more info see their website www.fudgey.com.au or follow them on Facebook. Pies of Mother England – selling traditional and vegetarian cornish pasties and dragon pies, these sound amazing – more info can be found on their Facebook page. Honk Mustard – made locally in Taranna, from an original Finnish recipe, perfect with your Sunday roast beef! Little Quoin Farmhouse – Free range, Berkshire pork roast rolls – these are sensational, be sure to grab one for lunch. Sue Kelly – locally made and totally delicious home made cakes, cupcakes, biscuits and baked goods, get in quickly this week! Sue Metzler and Greg Pitt – homemade preserves, jams, relish, chutneys, sauces and much more. Jakob’s Pantry – cakes, slices, tarts and pastries, using old fashioned recipes, a must try! This week Jakob’s Pantry will also be selling their range of hot soups, ready to eat at the Market OR to take home for later. We’ve heard that the Thai Chicken Soup is extremely popular! Dunalley Primary P & F – snacks and meals using locally grown and sourced produce, fantastic food and one of our most popular stalls – make sure you visit and support an awesome cause as well. 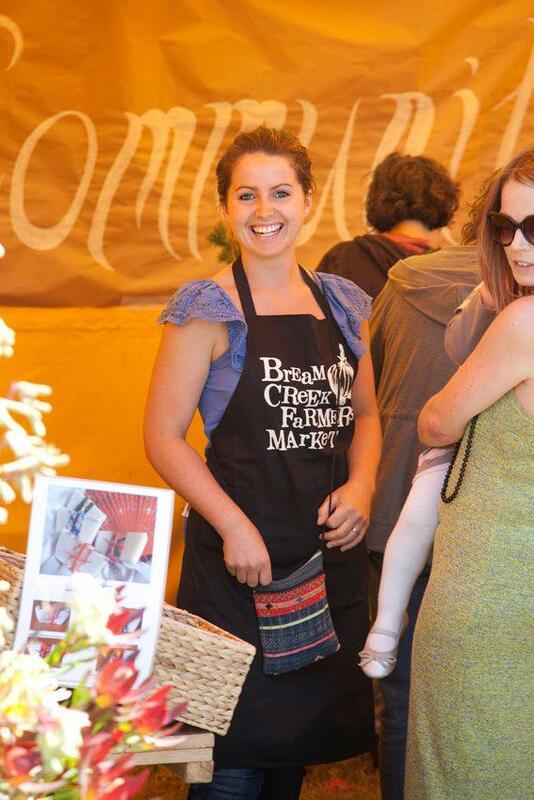 Community Stalls – an ever changing variety of seasonal, local produce. More stalls to be announced later in the week so stay tuned!